These tiles are cut from colored stained glass, their rich colors never fading. 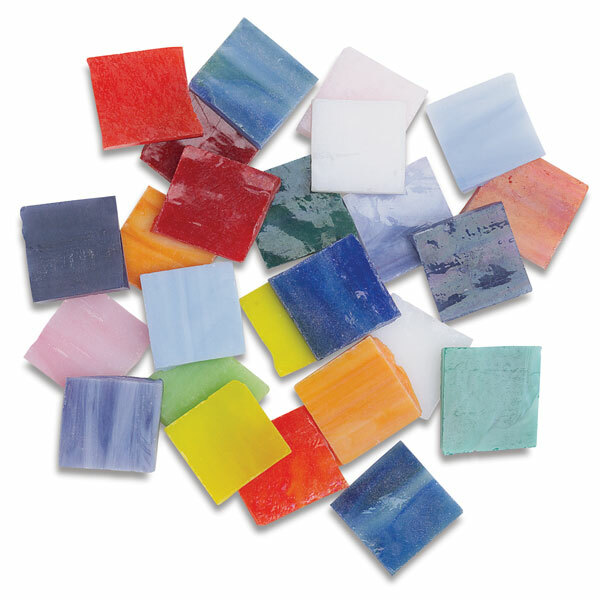 Mosaic Glass Chip Set sold in 4 lb packages, containing 600 assorted opaque glass chips. Tiles measure 3/4" square by 1/8" thick.